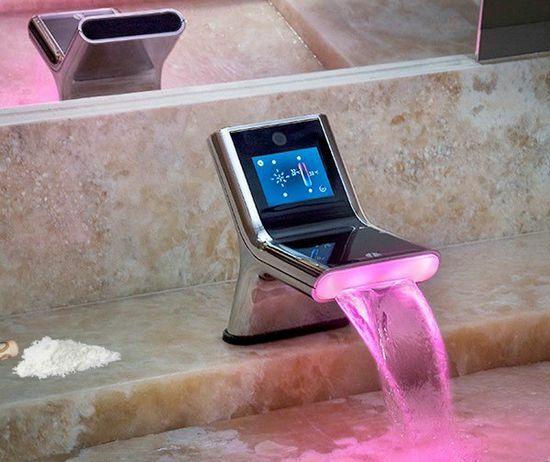 What would you do if you have encountered a faucet like this? I just chanced upon this and the idea thrills me that a faucet can have facial recognition technology that automatically adjusts the water pressure and temperature to your preferred settings. Very techie indeed. I'm just wondering if it needs facial expression that will set the pressure of the water like if you're mad and angry or cool and relaxed. I really love this one as it's like the latest innovation in mobile phones which recognizes retina and face. Such innovation, they never cease to amaze me.